How did it come to this! How did we let this happen? Cafes these days are a dime a dozen. Ineligible fonts, foreign language menus, yet another salt and pepper squid dish in a sodium-soaked, fried up mess. Mass-produced caramel carb slices abound… oh let's not forget the unapproachable hipster peering over his beloved Synesso machine as you trepidatiously order a macchiato. Make sure you're pronouncing that right. I made this happen, you made this happen. It's time we step out of the rat race and jump into something more healthy and nourishing. After years of trading, Wild Thyme is turning over a new leaf. New management means fresh blood and fresher ideas. Located near the top of Melbourne St, North Adelaide, you can look no further than this lush organic cafe and wellness market that runs ahead of the pack. Every morning an organic food truck delivers cases upon cases of fresh produce that is free of pesticides, sprays and other harmful junk. Market supervisor Paul takes care of this. The market is bursting at the seams with everything from beetroot dip to kale chips, biodynamic wines to olives in brine. If it's organic, they'll have it. (Or at least make a very earnest attempt in getting it). Coffee beans sourced from Ethiopia are ground fresh, tamped, tasted and tested by skilled baristas who are on the ball and always eager to please. I had the pleasure of a coffee expertly made by Pierce on my most recent visit. The cafe section boasts a diverse range of healthy, organic options which are prepared fresh every morning by dedicated staff. Prices range from $5.90 to $19.90 varying from buckwheat pancakes, acai porridge to the almighty club sandwich. The 18-hour braised beef cheek with parsnip puree and celery salad is hands-down the most popular dish on the menu. And guess what? Not a deep fryer or microwave in sight. Your body will thank you for it. 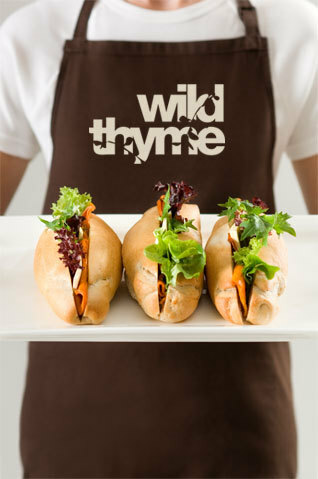 Wild Thyme also caters for a vast cross-section of dietary requirements. Expect to find gluten and dairy free food, vegetarian and vegan meals, and even try your coffee with a different kind of milk. Almond, coconut, hazelnut, oat and soy milk.. or perhaps a blend? Taking over the lease in recent months, Dynamic Mother and son duo Leanne and Alexander are doing everything they can to win Wild Thyme their rightful place as best organic cafe in Adelaide. Open from 7:30am on weekdays, and from 8am on weekends. If you're wild about organic produce and honest, caring service… visit soon. Why? Healthy alternatives and wholesome food. My favourite part of the decor was the entertaining blackboard of quotable quotes. What have the new owners done with this? Well after that article Im going all vegan all organic and all wild thyme...completely sold on it !